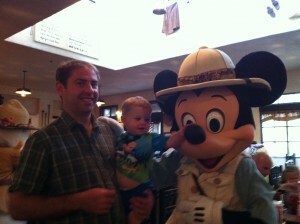 Dining with little kids at Disney can often be a challenge. They are so excited to be at Disney world, enjoying a nice relaxing meal with a glass of wine, appetizers,entrees, and desserts is often not in the cards! Here are my top ten choices for dining with your mini me’s! 1. Tusker House- This buffet located in Animal Kingdom, is a wonderful choice for any meal. My favorite meal here is breakfast. I really like buffets when you are dining with kids because the wait time and overall length of the meal is decreased which helps a lot! The fact that Donald, Mickey, Daisy and Goofy are there to meet with guests is just icing on the cake! 2. Whispering Canyon Cafe- Located in the beautiful Wilderness Lodge, this restaurant serves up great grub 3 meals per day. I suggest this as a fantastic family dinner option. The food is yummy and they keep it coming. The milkshakes are bottomless and extremely good. The wait staff are also entertainers and will keep everyone happy and interested in what is going on inside the restaurant and not what they are missing at the parks. Make sure to ask for ketchup! 3. Beaches and Cream- This is a wonderful diner and ice cream parlor located at Disney’s Beach Club Resort. The burgers are my favorite on property and the ice cream is a meal in itself ( You are on vacation so ice cream can be a meal!) The only issue here is that there are no reservation accepted. I suggest arriving around 11 am for an early lunch so you are seated with little wait. The service is quick and kids will enjoy the offerings and the arcade next door. 4. Chef Mickey’s- This is a staple for most families traveling with kids. Not only do you get to eat with the fab five,but the buffet is very kid friendly. Kids can eat mac and cheese and make ice cream sundaes! 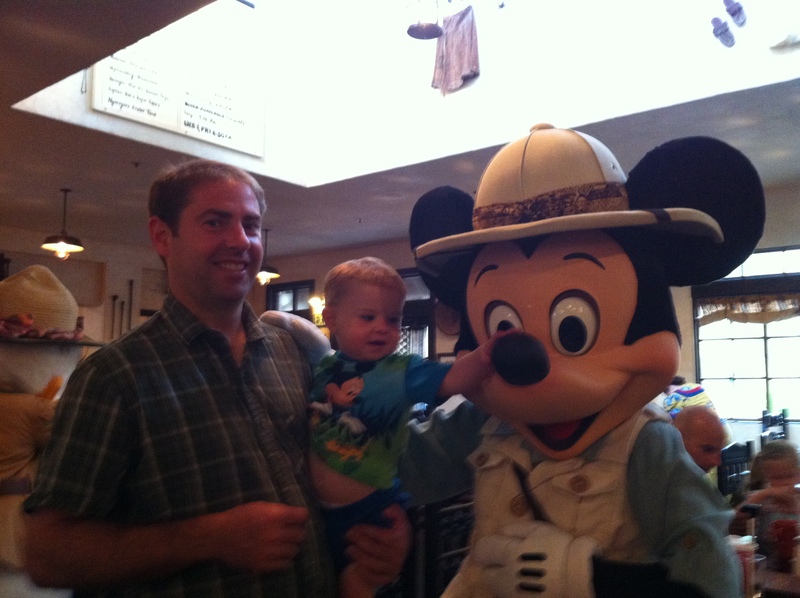 Since it is a buffet, kids can get right to eating…that is if they are not too star struck when they meet the mouse! You will find Chef Mickey’s in The Contemporary resort. 5. ‘Ohana- Ohana means family and this is a great option for dinner. This restaurant serves breakfast and dinner daily at Dinsey’s Polynesian resort, but dinner is my pick here! Kids will love the games that they can participate in such as the coconut races and hula lessons. The food will please everyone in your party so come with an empty stomach; you will not be leaving that way! 6. Crystal Palace- This character buffet is located right at the end of Main Street in The Magic Kingdom. Enjoy three meals a day with Pooh and friends. I suggest visiting here for breakfast and arranging an early meal. Not only will you get great food and characters, but you will also be allowed into the park before it officially opens which equals great photo ops! 7. T-Rex Restaurant- Located in Downtown Disney, kids will flip over this prehistoric dining option. This restaurant has a wonderful theme that is perfect for your dino crazy kids. They can also try out the build-a-dino workshop presented by build-a-bear. The food here is very kid friendly and everything has fun and creative names! Eat here for lunch and then do some shopping! 8. 50’s Prime Time Cafe-Kids are never too young to be reminded of good table manners! This awesome restaurant is located in Hollywood Studios and is sure to please the crowds. The cast members are so fun and kids will love the desserts and and kids menu options. This restaurant allows kids to see what the world was like in a more simple time! 9. Akershus- This restaurant is located in the Norway Pavilion at Epcot. This is my pick for Princess dining. You can meet Ariel, Aurora, Belle, Cinderella, Mulan, Snow White, Mary Poppins and Jasmine, though characters are subject to change. This restaurant is open for 3 meals a day, the food is very good and will not cost you an arm and a leg like eating in the castle! 10. Boma- This awesome buffet is open for Breakfast and Dinner and is located in Animal Kingdom Lodge. Not only is it worth taking kids to because of the delicious food, but experiencing Animal Kingdom Lodge is a must do! Kids will love to see the animals out on the Savanna and maybe even watch the flamingos get fed after they enjoy their meal at Boma! I suggest eating here on a day when you are touring Animal Kingdom. Dine either before you head to the park for the day or after the park closes! This entry was posted in Dining and Restaurants, Top Five and tagged Akershus, beaches and cream, Boma, Chef Mickey, Down Town Disney, o'hana, Whispering Canyon. Bookmark the permalink.